A leader of the National Union of Road Transport Workers, and All Progressives Congress member, Musiliu Akinsanya, aka MC Oluomo appears to be gradually recovering from his stab wounds. The ‘powerful man’ who is rumoured to possess spiritual powers that prevent him from being physically harmed by his enemies was seen on camera with his ally and friend, Taye Currency who is a fuji musician. 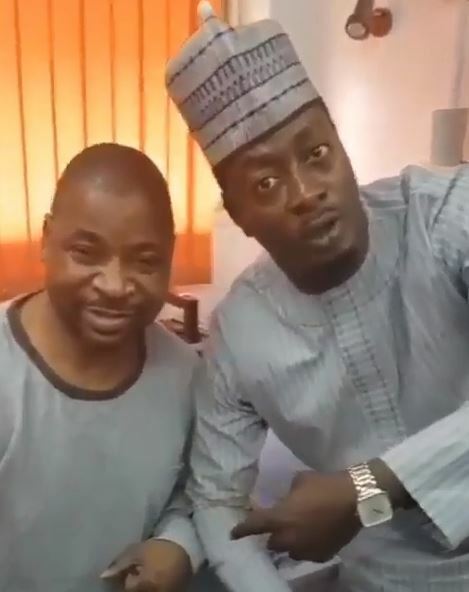 In the video, MC Oluomo appeared frail, weak, sluggish and reluctant to talk as he managed to put up smiles for the camera in an apparent move to debunk rumours that he had quietly died after being reportedly stabbed twice with a poisonous knife. 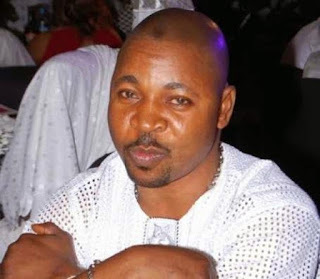 It is not clear if MC Oluomo will be fit for the forthcoming gubernatorial election in Lagos State where he is expected to play a major role as a ‘mobilizer’ for the ruling APC in the Oshodi Local Government Area. It would be recalled that pandemonium broke out on Tuesday during the inauguration of the campaign of the All Progressives Congress at the Sky Power Ground, Oba Akinjobi Road, Ikeja, Lagos, as hoodlums invaded the venue and engaged in a supremacy battle. Among those who reportedly sustained gunshot injuries during the clash were the Group Political Editor of The Nation, Emmanuel Oladesu; a correspondent with New Telegraph, Temitope Ogunbanke; and a cameraman with Ibile Television, Abiodun Yusuf. The rally, which started around 12.30pm, was said to have ended abruptly. It was gathered that popular fuji musician, Alhaji Wasiu Ayinde Marshall, aka K1 De Ultimate, was on the stage thrilling the audience when a gunshot was fired. Confusion thereafter ensued as the hoodlums, suspected to be supporters of MC Oluomo and Mustapha Adekunle, aka Seigo, another union leader, invaded the arena with guns, daggers, cutlasses and other weapons, leading to a free-for-all. Hoodlums were seen attacking one another with machetes as many fled for safety.